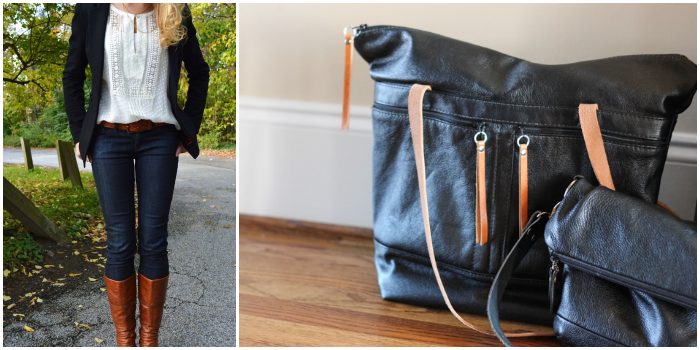 In a post last fall, I summarized my fall handbag wardrobe. 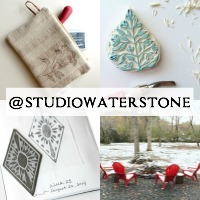 Now it's time for a winter staple update. Allow me to preface. It's all casual because I rarely never dress up. 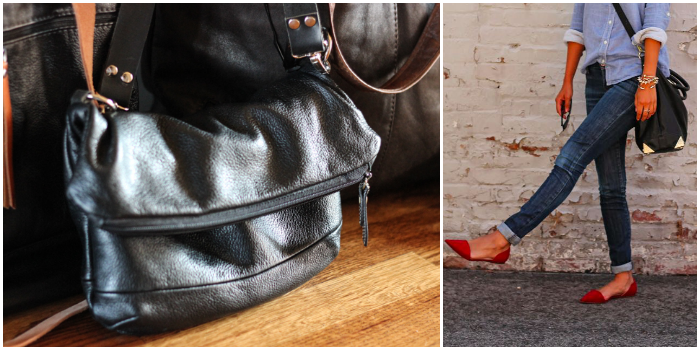 What are your go to bags this season? And am I the only one who rarely never dresses up? 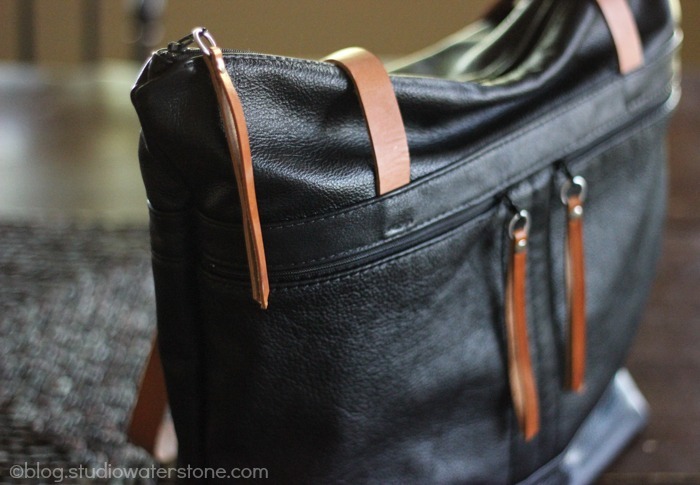 I rarely carry one of my own bags unless it is a tote! 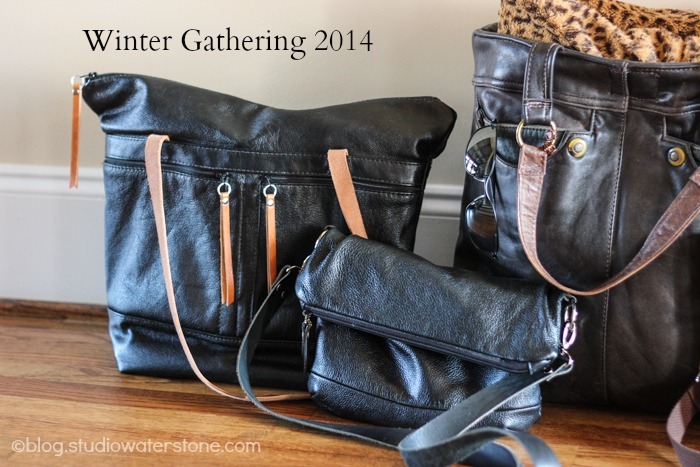 I tend to grab either a black leather shoulder bag or a brown leather shoulder bag for every day. Sadly, until I can actually quit my day job (and let me tell you I am LIVING for that day! ), I am forced to get "dressed" every day. Thankfully, after having had to wear hose and heels for work for nearly 30 years, I now most often wear low heeled shoes and tights throughout the winter or long skirts and boots. How I love long skirts! I love your everyday "go to" bag. Just big enough. 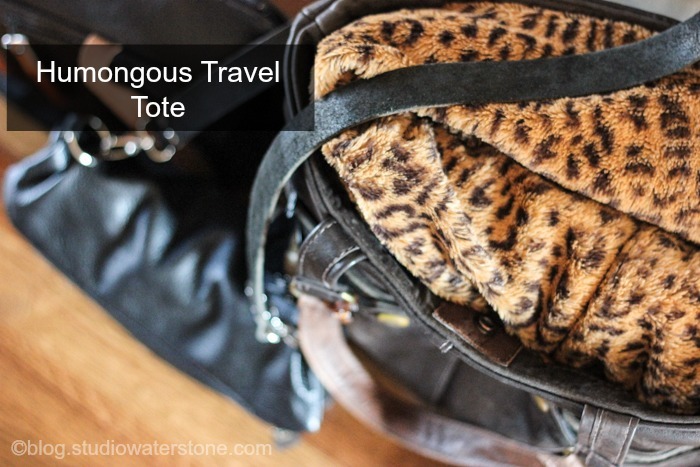 And the faux fur lined travel bag is fabulous!! Suzan - hoping you get to quit your day job soon. :) And the large tote isn't fur lined - that was a throw! But it did make me laugh. Thanks both Courtney and Suzan. 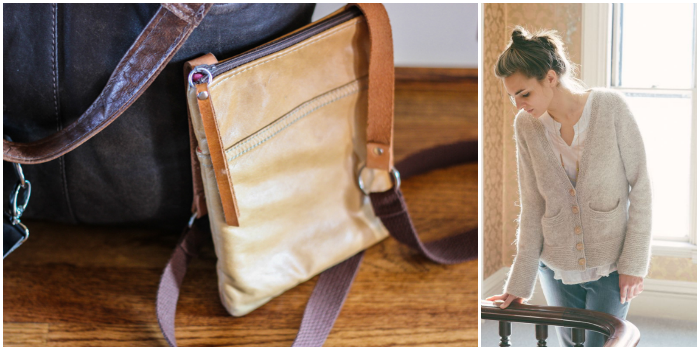 I am definitely a handbag "addict," but strangely enough, in the winter, I stuff my wallet in my coat, and go. One less thing to drag along with me. 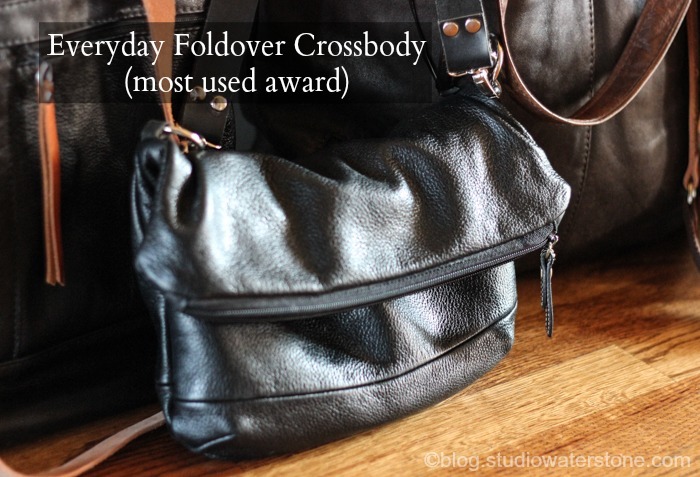 I absolutely LOVE the foldover crossbody. So nice. 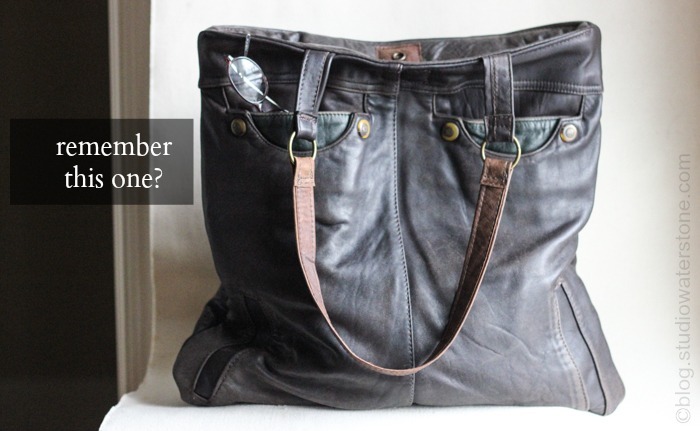 I love bags of all kinds too and in the past changed purse/bag very often..since my birthday in November i've been using my baggallini that my kids got me..I love it but it's almost too big. On the search for something to switch to every now and then. 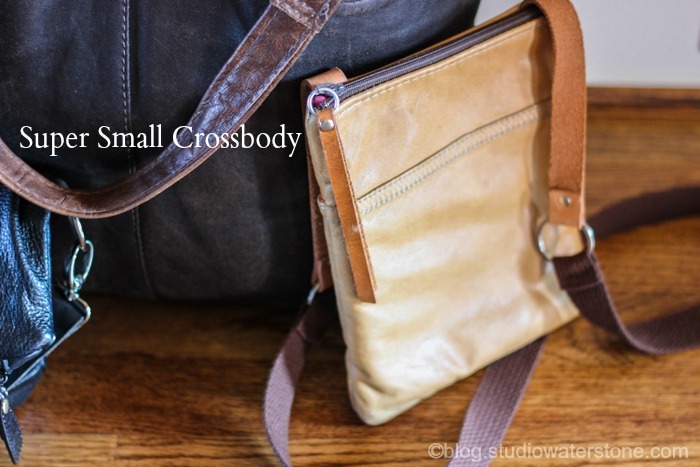 I love all these especially the fold over crossbody. 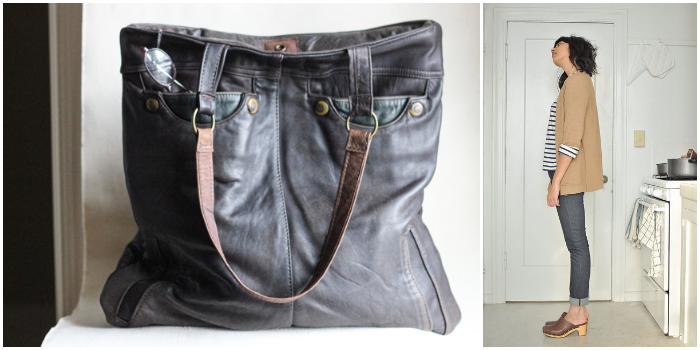 I love to thrift shop and sometimes I'll see a beautiful leather coat/jacket and think to myself "Oh Lori could make a really nice bag/purse out of that".. lol.